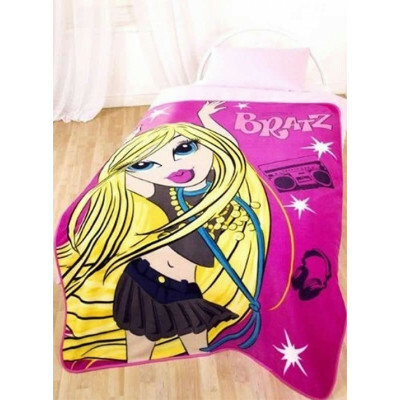 This Bratz Throw Blankets is favourite of girls, from the small ones to the young adults. Its cool character and pink colour is simply sweet, trendy and glam, wining the heart of everyone. Made from 100% polyester fleece, this Bratz Throw blanket is soft, warm and simply fantastic and fabulous. You can easily machine wash them at 40 degree Celsius for a fresh and clean look for years to come.